Owing the IRS back taxes is a situation that can arise when people may have miscalculated their prior tax liabilities, when they may have been unable to pay their past taxes or when they may not have even been aware that they should have filed federal taxes in the past. 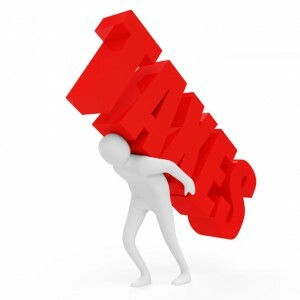 At Goldman Law, our Denver tax attorneys are skilled at dealing with the IRS to help people resolve their back taxes as favorably as possible. Back tax liabilities need to be dealt with as soon as possible in order to prevent the IRS from assessing costly penalties – like expensive interest or even garnishments. Trying to resolve back tax issues without the help of an experienced attorney can lead to more problems, as IRS officers are not on taxpayers’ side and are not obligated to tell people about their rights or best options. 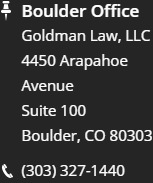 A trusted Denver tax law attorney at Goldman Law, LLC can work with you and the IRS to help you resolve your back tax issues as favorably as possible. Negotiating a payment plan – Developing a payment plan that outlines how much money a person will pay the IRS on a monthly (or quarterly) basis can be an effective way to resolve back tax issues. With this option, it will be essential to calculate a person’s vital expenses in order to figure out how much (s)he can reasonably afford to pay the IRS.Because there can be some complicated calculations associated with this option, it’s important that people work with an experienced attorney when they are considering working out a payment plan to resolve their back taxes. Developing an offer in compromise – Essentially, this strategy involves settling with the IRS for less than the amount owed in back taxes, interest and penalties. The key here is to carefully analyze the situation to come to the minimum acceptable offer (based on both the amount owed and a person’s specific financial situation). Being declared “non-collectible” – When people are declared “non-collectible,” the IRS will immediately stop pursuing the collection of back taxes from these people. While the IRS may decide to pick these collection efforts back up in the future (if or when that person’s financial situation improves), being declared non-collectible can open up some financial breathing room, providing people with the space they may need to get their finances back in order. Requesting an abatement of back taxes penalties – With this strategy, the amount of back taxes that a person owes can be reduced by focusing on getting the IRS to agree to drop some of the interest and penalty fees. In some cases, it may be possible to get an abatement of penalties that reduces a person’s back tax liabilities by as much as 40 percent. If you owe back taxes to the IRS, don’t ignore this liability or try to deal with the IRS on your own. 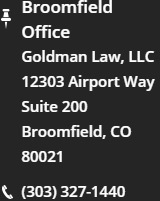 Instead, contact a trusted Denver tax law attorney at Goldman Law, LLC for help resolving your tax issues as favorably as possible. At Goldman Law, LLC, we know how distressing back tax issues can be, and we also know how to stand up to the IRS and effectively protect our clients to ensure they are able to obtain the best possible outcomes to their cases. We have the experience, resources and dedication necessary to help you resolve your tax issues as beneficially and efficiently as possible.